American Express Canada recently launched a new option, letting card members fall for instant gratification by letting them redeem daily purchases for small amounts. According to Amex, this option will provide ultimate flexibility and make daily life seamless. However, what Amex is not saying is that clients lose big time when they redeem points for daily purchases instead of converting to miles. American Express points provide the best bang for your buck when you transfer them to airline miles, such as with Aeroplan or Avios. The transfer rate is 1:1, meaning you will receive 1 airline mile for each point. Now, if you are knowledgeable about airline rewards programs you should be easily able to extract 5 to 6 percent return per dollar flying business or first class. Sometimes the return can be astronomically high like 30 percent flying business or first class on airline miles. If you fly economy class using miles, your extraction rate will be a poor 1 to 2 percent. So what’s the rate you are getting from American Express if you redeem points for purchases? Not even 1 percent. On the Amex Gold Card, the redemption rate is $7 for redeeming 1000 points. What this means is you get $0.007 per point, which is even less than 1 cent per point, making it a 0.7 percent return – not even 1 percent return. If you use Amex TripFlex option to redeem points for travel, you will get a 1 percent return or 1000 points for $10. The best value Amex rewards points generate is when you redeem them to convert into miles. Of course you need to know how airline miles work and if you don’t want to follow that path, you should not have this card in the first place. There are other credit cards that offer higher return for redeeming points for groceries and other purchases. There is no point in having American Express credit cards, paying hefty annual fees and redeeming points at such a horribly low rate. 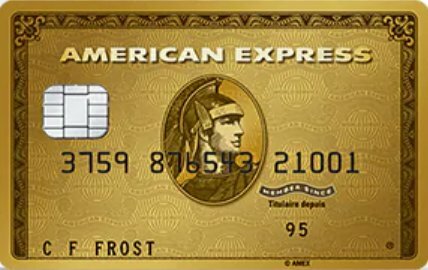 Also don’t forget that although American Express is charging a hefty $150 on its popular card Amex Gold Rewards, it’s not providing many common benefits that another premium card would provide for a $120 annual fee such as Trip Cancellation Insurance, Concierge Service, etc. The American Express Platinum credit card provides various perks and features. Today, I will talk about some you will like and some you won’t. Lounge Access – provides unlimited lounge access through various lounge programs such as Plaza Premium Lounge, Priority Pass, Delta Sky Club, and Amex Centurion Lounge, etc. Some of these will even provide free access for additional company. By far this is one of the most sought-after perks for Amex Platinum. Upgrades Elite Status for Hotel Loyalty Programs – The second thing you will love is the upgraded elite status you will be receiving without staying a night at some of the best hotel chains. In general, you would normally have to stay 20 or more nights to achieve it. Some of these hotels are Club Carlson, Hilton Honors, SPG or Marriott. Having elite status comes with various perks from these hotels. Full Insurance Coverage – Another thing you will love is the free insurance coverage that comes with this card. This includes out of country medical insurance, trip cancellation insurance, trip interruption insurance, and many more. The good thing about these insurances is that the provider is a reputable one with a good track record, unlike some other credit cards where the providers make it difficult to receive insurance when you file claims. Now, let’s look at some of the features you will not love. Hefty Annual Fee – Paying $699 per year is a hefty fee and many times higher that most other premium credit cards in Canada, where the annual fee ranges from $99 to $165. Poor Rewards Earning – Many of you will not like receiving only flat 1.25 points per dollar after paying the $699 annual fee. Even the American Express Gold credit card that only charges a $150 annual fee has accelerated categories where you earn 2 points per dollar. Limited Transfer Partners – Points provide the best value when you transfer them to airline partners and Amex provides very limited partners to which you can transfer. Some of these partners are Aeroplan, Avios, SPG, Hilton Honors, etc. American Express launched a new credit card recently. I will talk about 3 things you will love and hate about this credit card. Let’s start with 3 things you will love. Rewards Structure: The first thing you will love is its rewards on some specific things such as grocery and restaurants, which will earn 5 rewards points. By far this is the highest return (5%) in Canada if you redeem these points for travel purposes. Annual Fee Structure: Instead of paying $120 annually, you will be paying $10 per month. This is another first as well and it’s easier on your wallet to pay each month rather than a year at a time. SPG Points: The capability to convert rewards points to Starwood Reward points (1:0.05). What this means is that for certain categories you will earn 2.5 SPG points, which is hard to find anywhere else. Now let’s talk about 3 things you will hate. Missing Travel Insurances: Although the Cobalt card provides some travel insurances, it does not provide very important travel insurances such as Trip Cancellation and Trip Interruption, which are a must for any traveller. No Airline Points Transfer: The Cobalt card does not offer any direct airline transfer partners such as Avios or Aeroplan. Yes, you can transfer to many airlines via SPG, but for many that’s not an option. Not Accepted Everywhere: This is a common problem with all Amex cards, as they are not widely accepted everywhere like Visa and MasterCard.